As the hardwood foliage bursts into a blaze of colors on Columbus Day weekend, take in the spectacular sights and come taste some award winning cheese during the Maine Cheese Guild’s annual Open Creamery Day. Visit many of Maine’s cheese makers in their creameries, meet the animals, and learn the stories behind Maine’s more than 150 artisan cheese varieties. 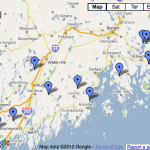 Along the way you could also visit a farmers’ market, stop at an orchard, explore one of Maine’s premier breweries or winemakers, pick fruit at Maine’s legendary orchards, and drop-in on one of the many artisan bread makers our state has to offer. 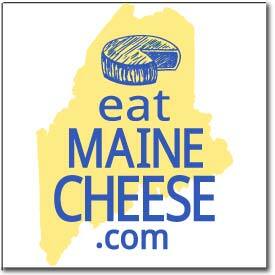 You’ll love the views, and the taste of Maine cheeses, straight from the source, will be the best memory of all! Using the milk from our herd of 110 dairy goats, we make many different kinds of fresh and aged cheeses. We also sell raw and pasteurized bottled milk. Does anyone know if any registration is required for visiting any of the farms/cheese makers? Thanks! No registration is necessary — all the listed creameries are open to the public during Open Creamery Day, or at the time specified on their listing.